The Skytop rooftop pool and terraces offer endless 360° city and East River views. Fully staffed, Skytop offers chaise lounges with umbrellas, tables and chairs for summer enjoyment. A rooftop escape: just an elevator ride away. 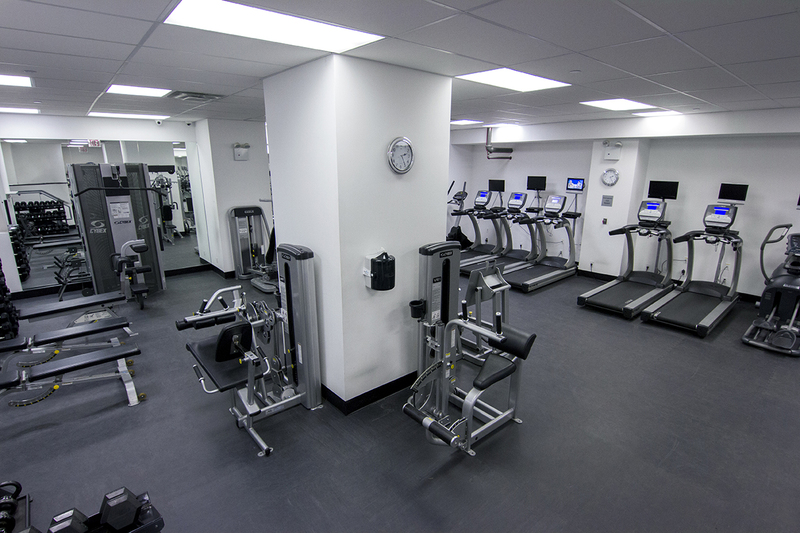 Our recently designed fitness center is equipped with a full range of free-weights, treadmills/elliptical machines, and training equipment. Members are welcome to work out with personal trainers. Shareholders may reserve this room for a party or event, attend building meetings and celebrations, or just relax in our resident lounge, which offers spectacular city views day and night.